Why You Might Not: Not the greatest of formula’s in our opinion. 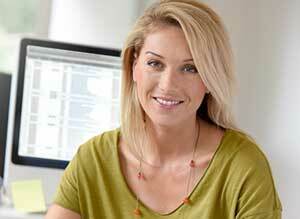 Themosyn is a diet pill that’s packed into bags instead of bottles. It’s unclear why the manufacturer has chosen to distribute the product in this way but it means that people who have young children in the house will need to be particularly cautious about how and where they store their supply of pills. The product has been brought to market by a company called The Skinny Caffe and appears to be shipped from a distribution centre located in the UK, but the company could be based anywhere in the world. We were unable to find out any information about The Skinny Caffe at all and it is not clear where the pills are produced. The Skinny Caffe don’t provide any information about how Thermosyn is likely to do the things it’s supposed to do, but the formulation appears to be designed to combat diet-related fatigue, make it easier to eat less food without feeling hungry, and speed up the metabolic rate sufficiently to cause the body to begin burning extra calories and fat. If Thermosyn is being used alongside an exercise routine, two capsules should be taken, once per day, 45 minutes before activity is commenced. If it’s being used without a serious commitment to exercise, the dose is one capsule, two times per day and it’s important to leave four to six hours between doses. Green Coffee Bean (1000mg): The chlorogenic acid provided by green coffee beans supports weight loss by encouraging the body to lose extra calories in the form of heat (thermogenic fat burning). Raspberry Fruit Extract (500mg): Not to be confused with raspberry ketones, raspberry fruit extract has zero potential as a weight loss aid. Although raspberry ketones is renowned for it’s ability to curb hunger and encourage fat burning, it takes several kgs of raspberry fruit extract to produce a viable dose of ketones. African Mango (250mg): A highly nutritious tropical “superfruit” that is highly respected for its hunger suppressing capability. Bladderwrack Extract (175mg): An iodine-rich seaweed that is sometimes used as a diet pill ingredient. Iodine deficiency can cause weight gain because the thyroid uses it to create hormones that are necessary for an efficient metabolism. However, the recommended daily amount (RDA) is only 0.15 mg (150mcg). The extract used here is 1% iodine. The Skinny Caffe state this allows the extract to provide 50mcg of iodine, but the maths is wonky because 1% of 175mg is 1.75mg. 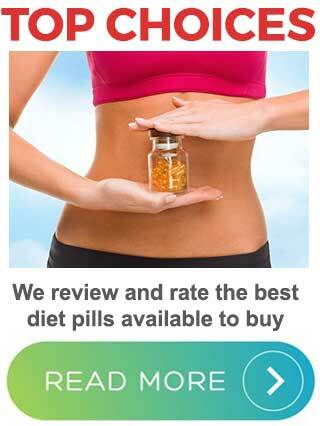 That’s much too high and that’s per capsule, not per day. Too much iodine can suppress thyroid hormone production by triggering the Wolff–Chaikoff effect. Glucomannan (100mg): When its introduced to the stomach alongside an adequate amount of water, the natural fibres this ingredient provides swell to create a feeling of satiety. Glucomannan is one of the best natural appetite suppressant available but research shows 3 X 1g doses are needed each day. The amount provided here does not even come close. Capsicum (100mg): The capsaicin provided by this red pepper extract has been shown to assist weight loss by boosting the metabolism and encouraging thermogenic fat burning. Caffeine (83.34mg): A good energy provider that also improves powers of mental focus and concentration, increases the metabolic rate, and encourages thermogenic fat burning. L-Tyrosine (50mg): An amino acid that has value as an ingredient in bodybuilding supplements but is unlikely to contribute to weight loss. Acetyl-L-Carnitine (50mg): An amino acid that’s alleged to promote fat loss without loss of muscle mass. A dose of 630-2500mg per day appears to work. The amount provided here is unlikely to do much at all. Chromium as Picolinate (66.67mcg): Research shows supplementing with chromium picolinate improves insulin sensitivity and glucose control and has the potential to significantly lower body weight and visceral fat accumulation. Chromium is a good ingredient, but it’s a diet pill regular that can be found in most of the top-rated diet pill formulations. We were unable to find a reliable source of customer feedback. 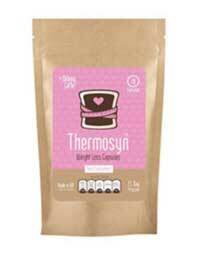 The Thermosyn sales page on The Skinny Caffe website provides a lot of positive comments that are attributed to satisfied customers, but testimonials put forward by manufacturers are apt to be hand-picked and are unlikely to provide an accurate insight into the pros and cons of using a particular product. The lack of a source of reliable feedback makes it impossible to ascertain whether the product has caused any problems for past users. However, the amount of iodine provided by the pills is far in excess of the RDA so it makes sense to discuss the matter with a doctor or other suitably qualified medical professional prior to buying and using this product. It’s possible to buy Thermosyn directly from the manufacturer’s website. Each bag of pills only contains a 15-day supply of pills. That means a bag won’t last long, but customers who wish to do so can order two or more bags at once and receive a small product discount. Customers are also given the opportunity to “subscribe and save” and receive a more generous discount in exchange for agreeing to receive a fresh bag of pills every 12 days via the company’s autoship system and have their cards hit with the bill every time a fresh consignment is dispatched. This may sound like a good deal, but customers who take the time to examine the subscription policy may be surprised to discover there is a six-month cancellation period that begins on the initial purchase date. That means customers who purchase the product and find it doesn’t work are going to have to keep on buying more pills for a long time whether they want to or not. Thermosyn does not have a money back guarantee. 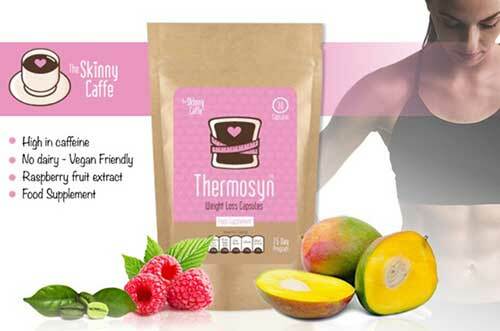 Once you discount glucomannan due to its low inclusion rate and raspberry fruit extract for not being raspberry ketone, Thermosyn has to rely on African mango to provide the promised appetite suppression and the dose provided is likely to be too low when it is having to go it alone in this way. Capsicum and green coffee bean are good fat burners, but all the excess iodine provided by that overly-hefty dose of bladderwrack may slow the metabolism enough to negate any benefits they provide. It seems likely that the caffeine content will boost mental focus and provide an energy boost, but we don’t think it will be significant enough to qualify as “explosive”. Like many other diet pills, Thermosyn is an overly-hyped product that is unlikely to deliver the kind of results the average diet pill buyer needs.